The Scosche MAGICMOUNT is a cool device that makes it easy to use a smartphone, tablet, or GPS unit while driving. This is a really useful product that is very affordable. Many states have hands-free laws that are making millions off of people that simply touch their phones while driving. The MAGICMOUNT can be setup in seconds and attaching a phone can also happen in the same amount of time. Keeping your eyes forward and hands on the wheel more often is a good thing. If you drive a lot, this is something you need to take a look at. There’s a company that makes a very cool product that uses neodymium magnets to hold tablets, GPS, and smartphones while you drive. This product can hold your smartphone on your window or dashboard as you drive, which makes it great for those that like to use Google Maps and navigation. The adjustable head of the mount also allows you to position your screen in any direction. There are several different versions of the mounting system, but we’re focusing on the Dash & Window model. Each come with 3M adhesive strips, which are for static mounting. We were more interested in the mounting kits that didn’t require tape or duct mounting. Most of the mounting kits are available for under $20 at major retail stores. The suction mount version is much better because it doesn’t involve attachments to the air conditioning ducts in your vehicle. Attaching to a duct is also less stable and annoying because it requires you to position the ducts every time you attach. 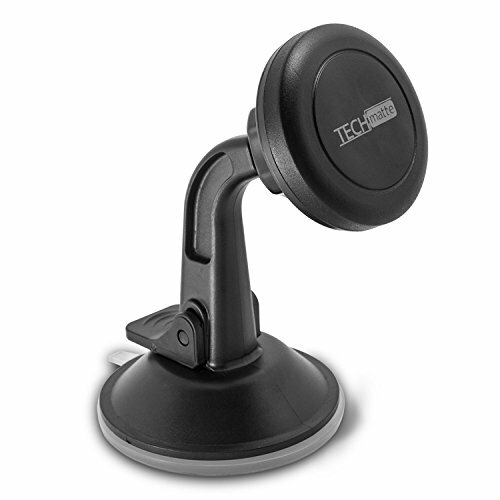 The adhesive material and suction cup make it easy to mount to dashboards and windows. 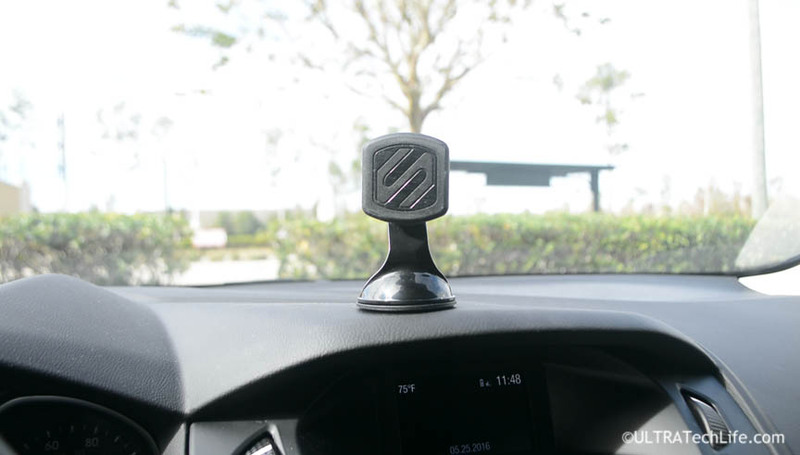 If you’re traveling and renting cars, you probably want the suction mount version because it can quickly attach to any car. As always, clean your dashboard or window before installing. Will the magnet damage my phone? New smartphones have several small magnets within them. Theoretically, it would be possible, if you have a strong enough magnet, to cause calibration issues with some of the internal compass features within various smartphones. In this case, the magnet is relatively weak and will not cause damage to smartphones. Users should only use the supplied magnet strips with the mount. In addition, the manufacturer recommends attaching the magnet strip inside a smartphone case for added stability (more secure grip). There are clear instructions for doing this that come with the kit. The parts within the kit are safe for your phone. Can I use it with a tablet? This is where our experts disagree with the manufacturer. You can use the universal magnet mount kit with smaller tablets, but you should exercise caution with larger (heavier) tablets. Remember that you are dealing with both the power of the magnet and the suction piece. If you brake quickly or the suction piece comes loose, the large tablet could fall off the dashboard. It’s not just braking while driving, temperature differences may also cause the suction mount piece to come loose. Unfortunately, there are always some consumers that just try and attach something way too large for these mounts. Most smartphones are generally lighter (and smaller) than full-size tablets. We recommend only using a smartphone with these mounts. We were able to attach the dash/window version of the mounting kit to several cars without any adhesive (sticking) or suction cup problems. This is a great tool to keep your hands on the wheel and it lets you keep your phone visible at all times. The universal magnet strips make it easy to attach nearly any smartphone or GPS unit to it. Attaching is as simple as waving your phone for 1 second in front of the mount and letting go. Most major retail stores had the window suction mount version for under $25. The kit comes with everything you need to connect your phone. After 1 month of use, the kit has been great and we recommend it, mainly for smartphone users. Be sure to get the dash & window mount version. Article written by ULTRA TechLife staff. Unauthorized reproduction, modification, broadcast, or other use prohibited.